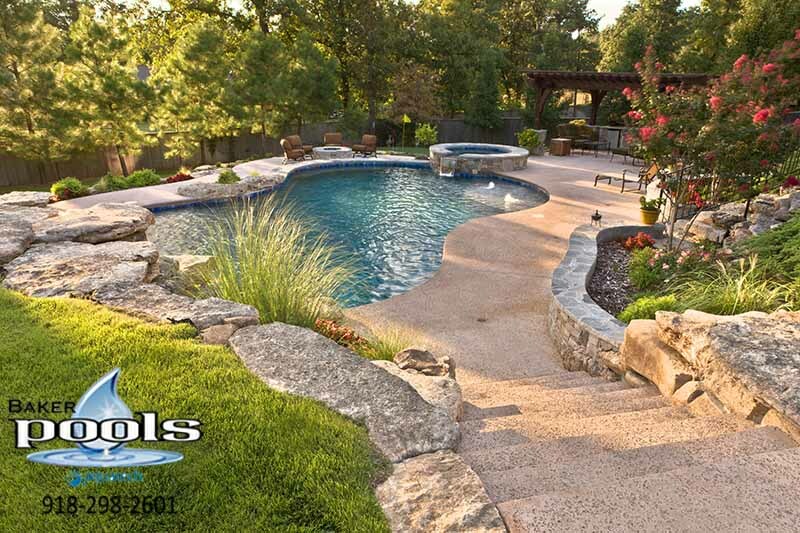 Start building a new pool today! 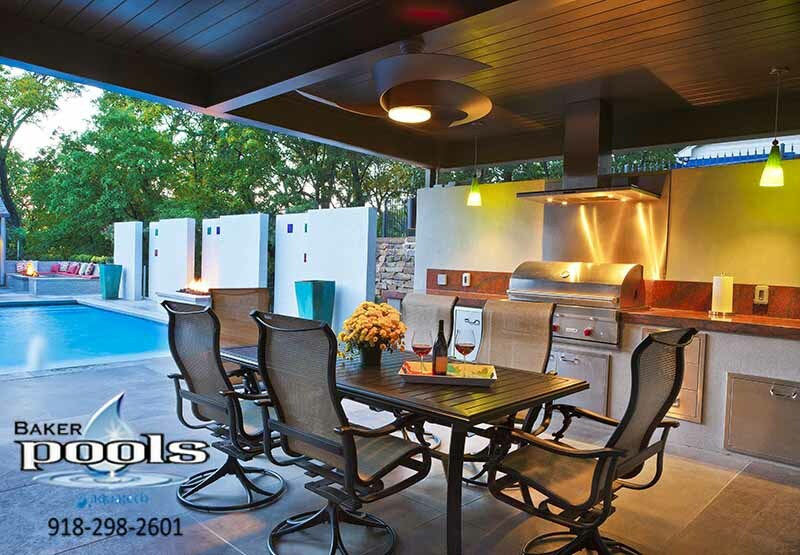 Our award-winning designers meet with you to hear your ideas, see your project space and understand your budget. 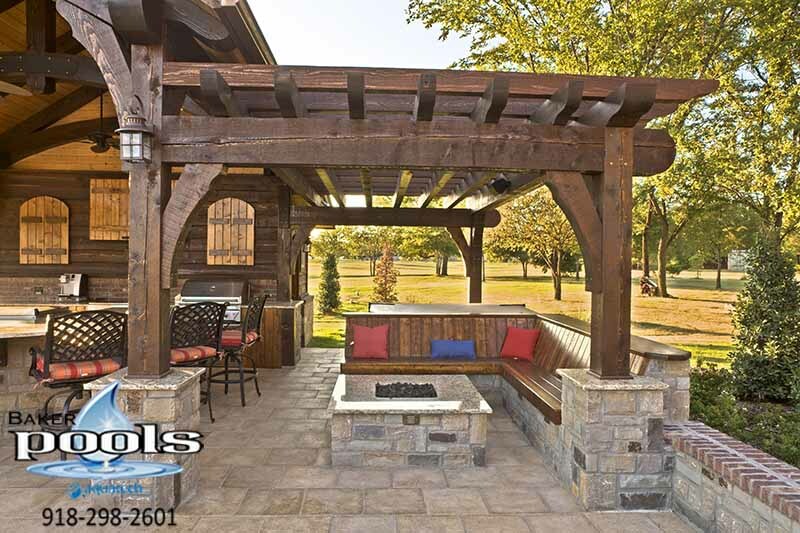 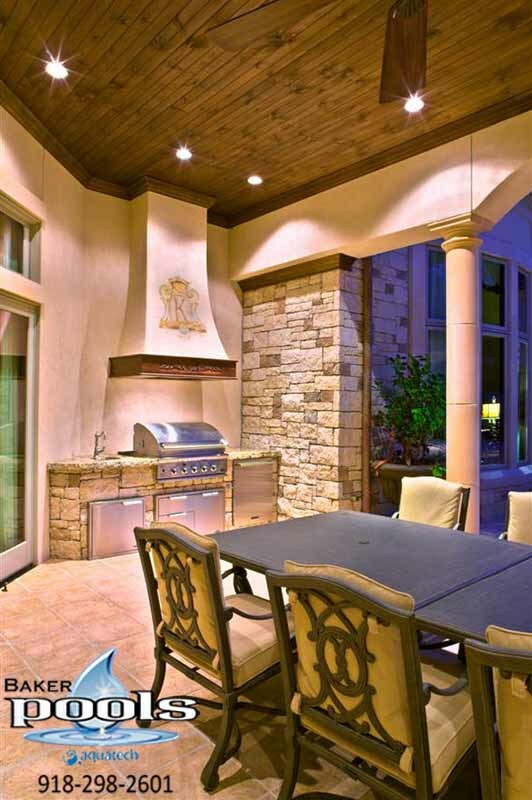 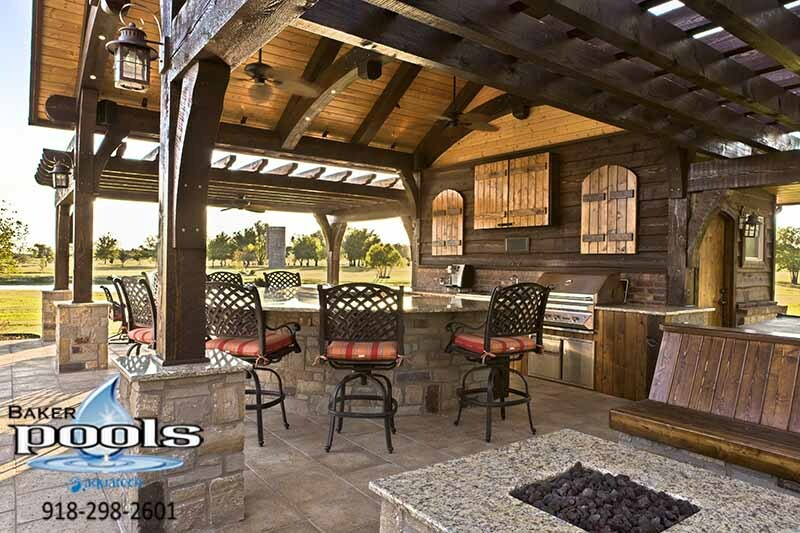 Based on your requirements, they develop state-of-the-art 3D design drawings to help you visualize your new outdoor living space and provide accurate job proposals. 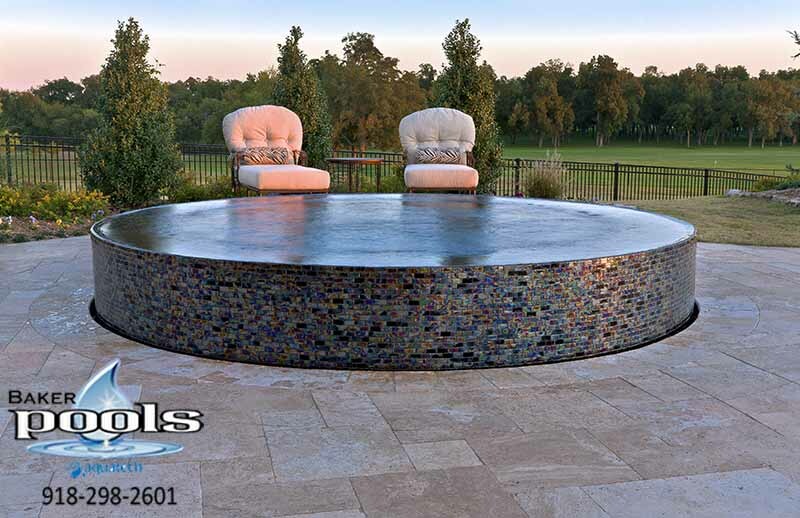 Once your design is finalized, you’ll choose from a variety of tiles and finishes to make your space a unique reflection of you. 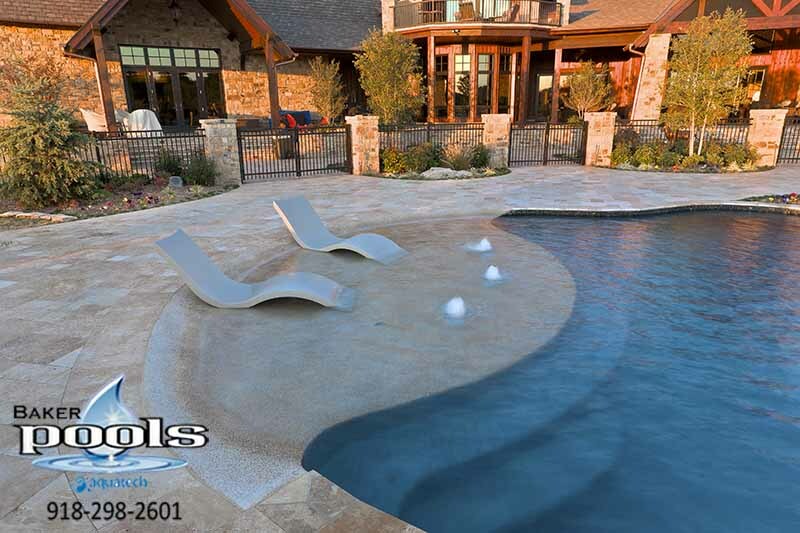 Our Design Showroom offers a wide array of tile, deck, and finish samples and lets you see just how they will look with your pool. 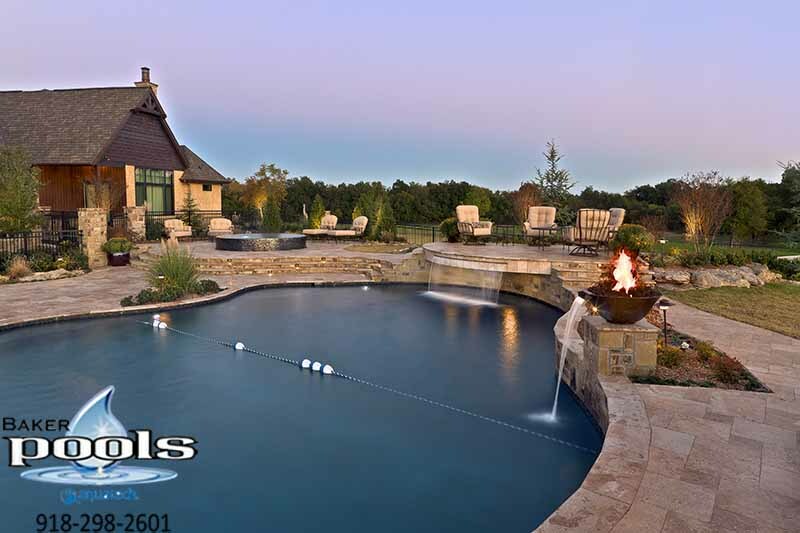 From layout to clean-up, Baker Pools’ experienced crews are there every step of the way to ensure that quality materials and construction methods deliver a pool your family will enjoy for years to come. 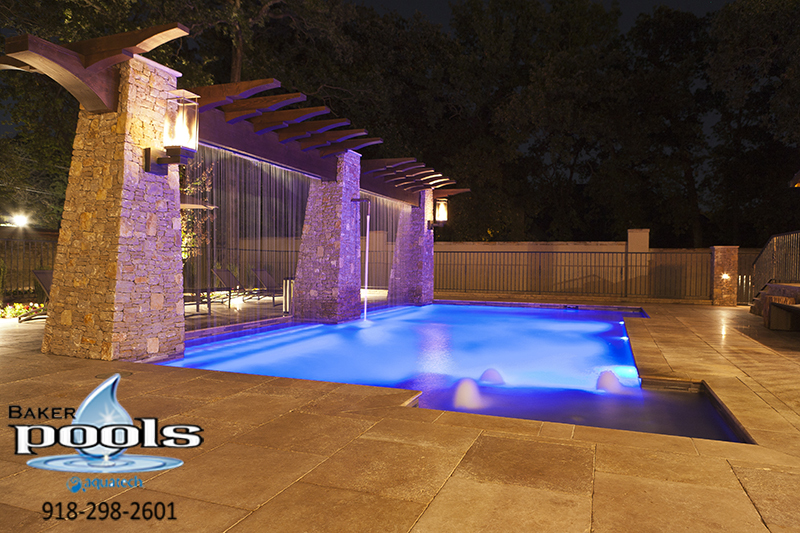 The final step in ensuring your continued enjoyment of your pool is our customer instructional session. 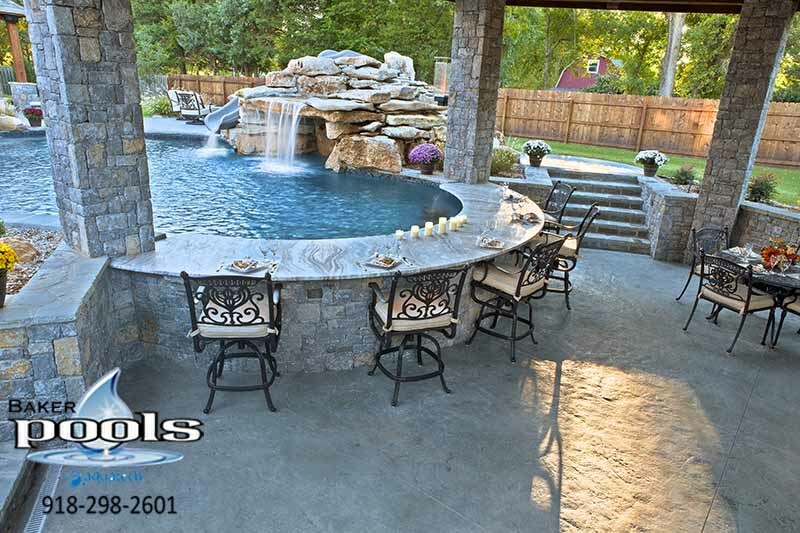 A Baker Pools’ technician will take you through a hands-on demonstration of your pool equipment and show you how it all works. 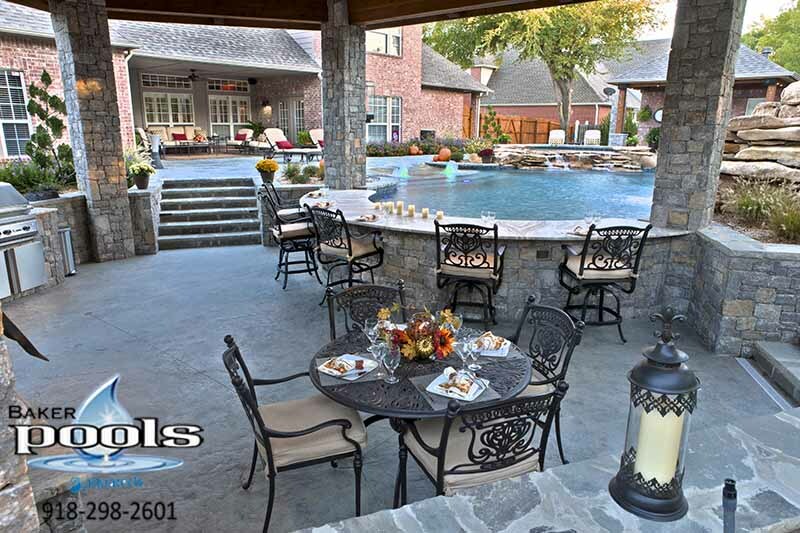 It’s a lot to absorb, but don’t worry – we’re always here to answer your questions. 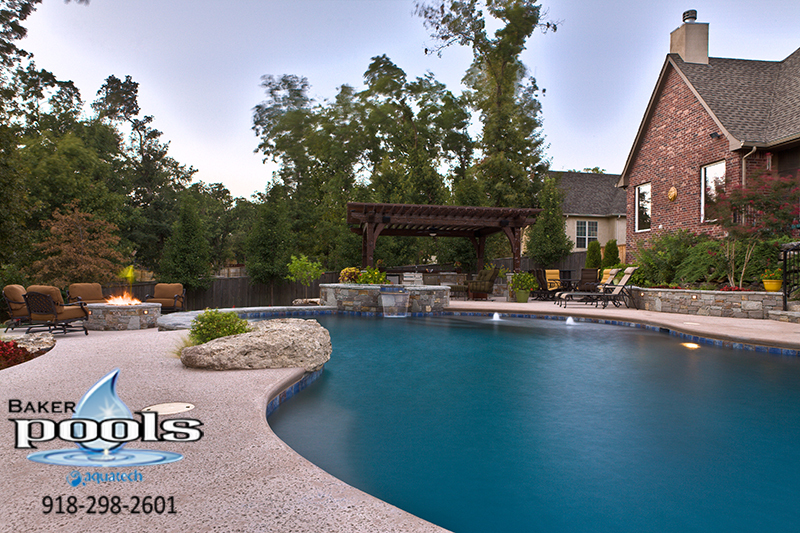 Our Service Department offers a variety of pool services. 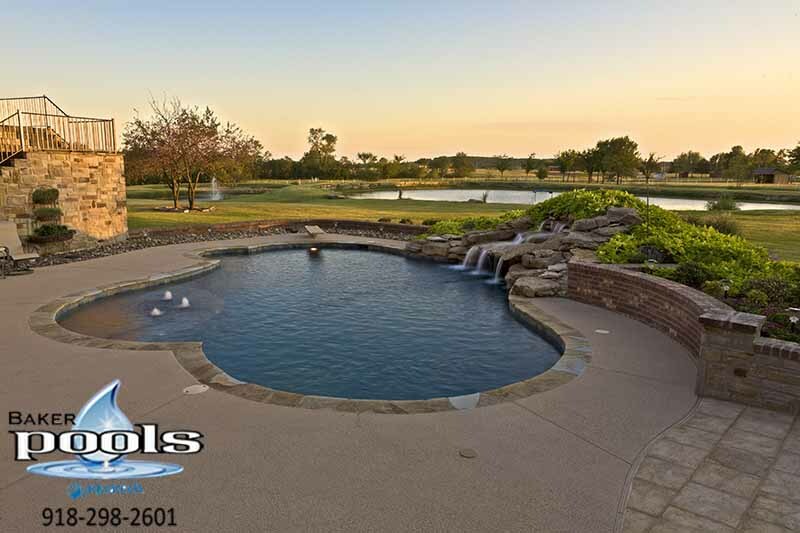 Our highly-skilled, factory-trained technicians can diagnose and repair any problems you encounter with your pool equipment. 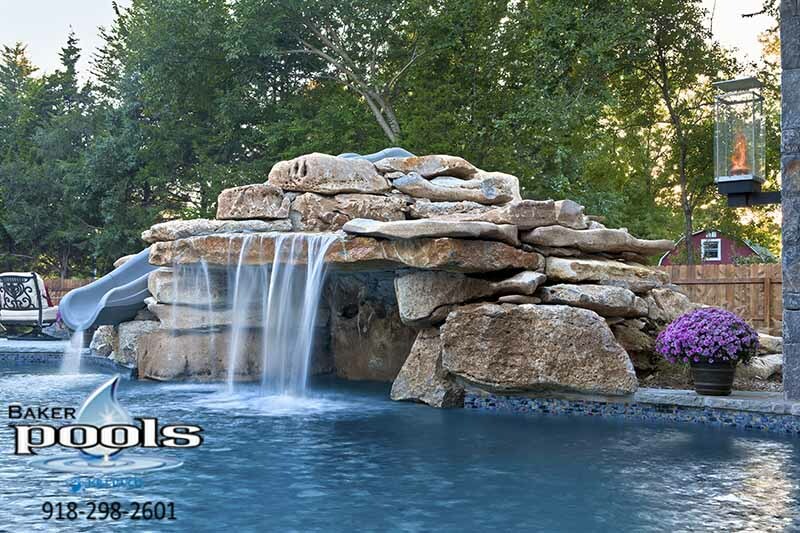 We are a Hayward authorized dealer. 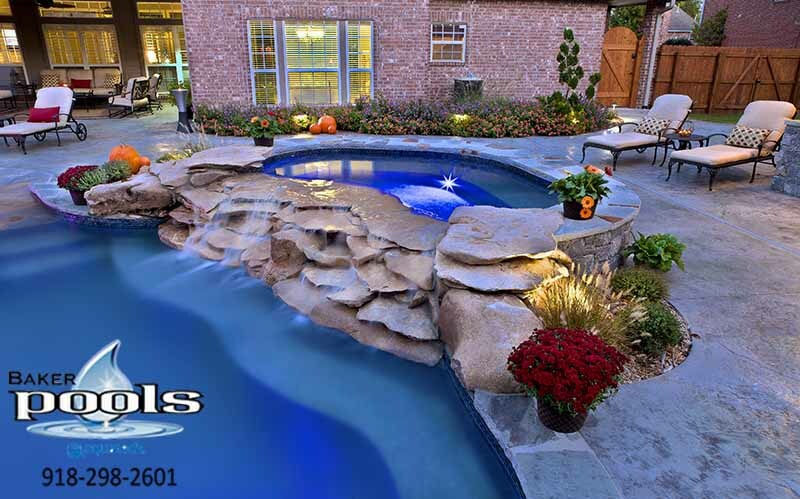 We also service Zodiac brands Jandy and Polaris, Pentair and many others. 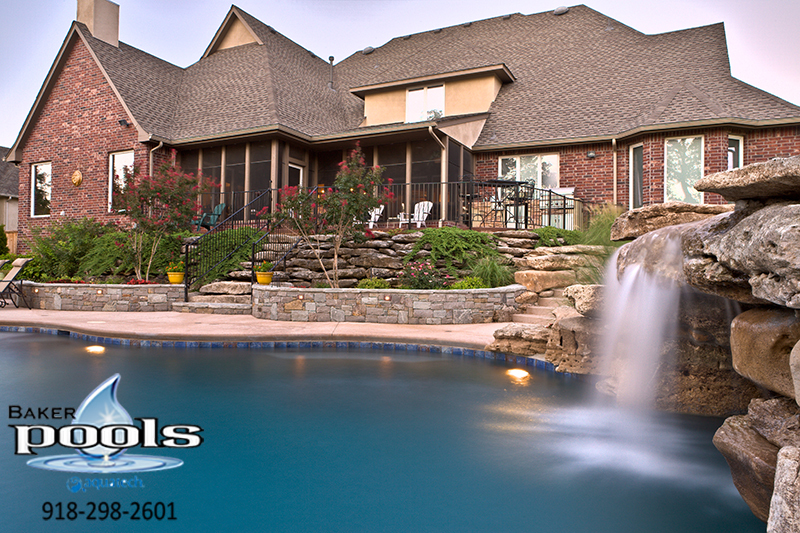 We service Tulsa and all surrounding areas. 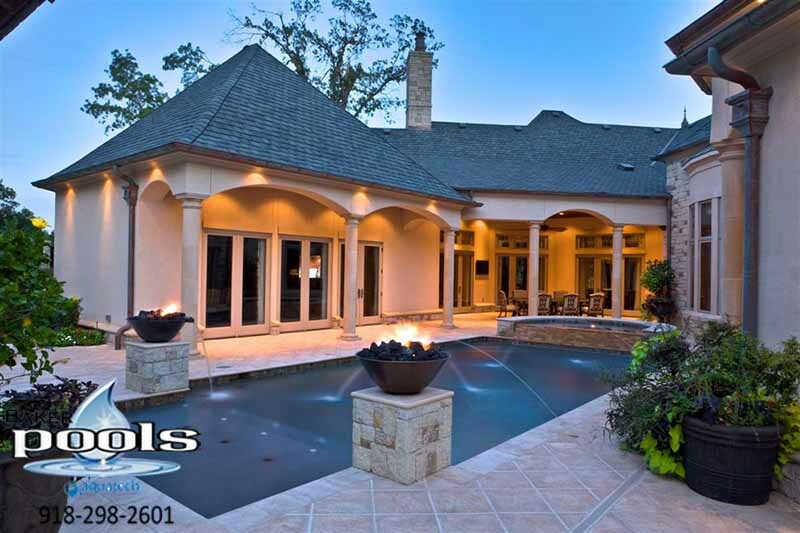 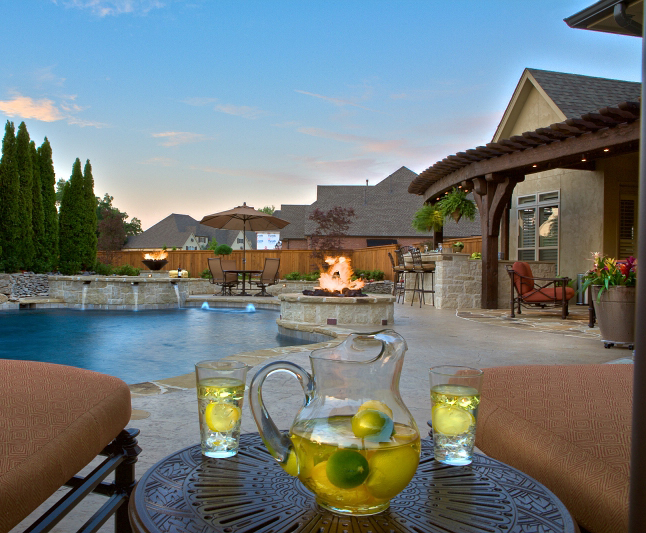 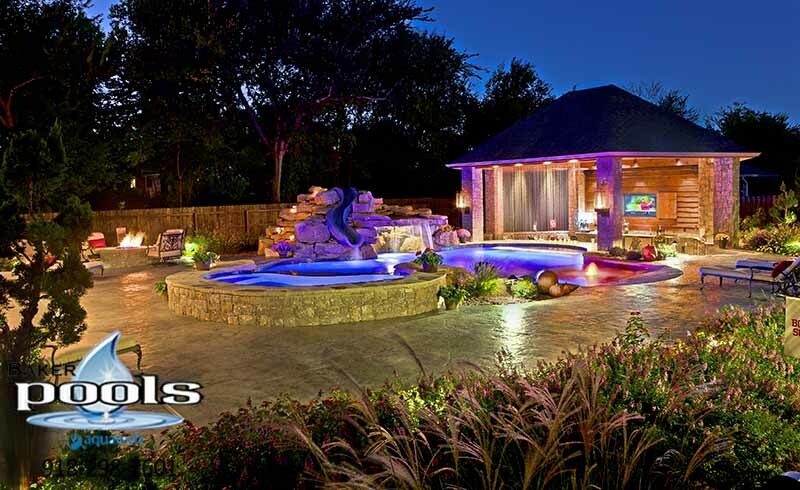 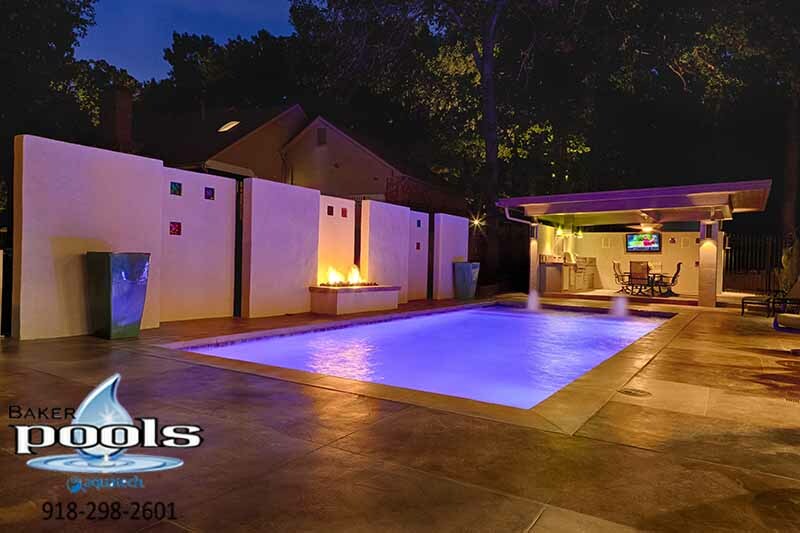 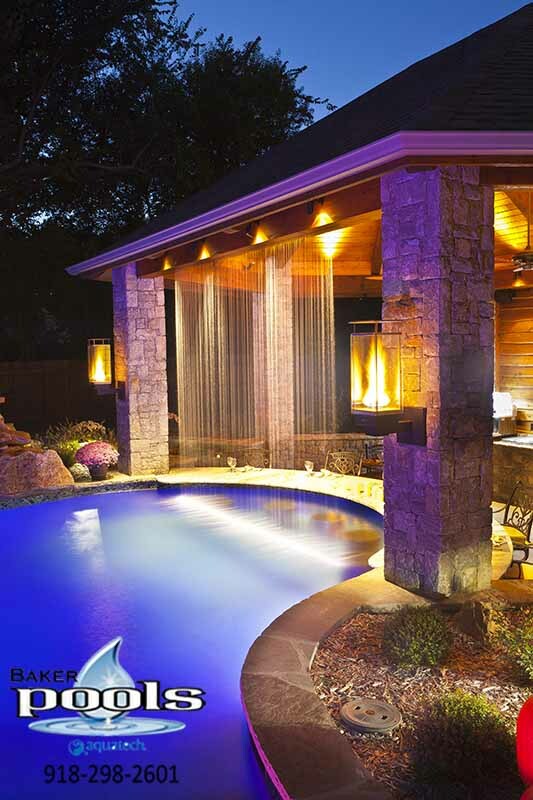 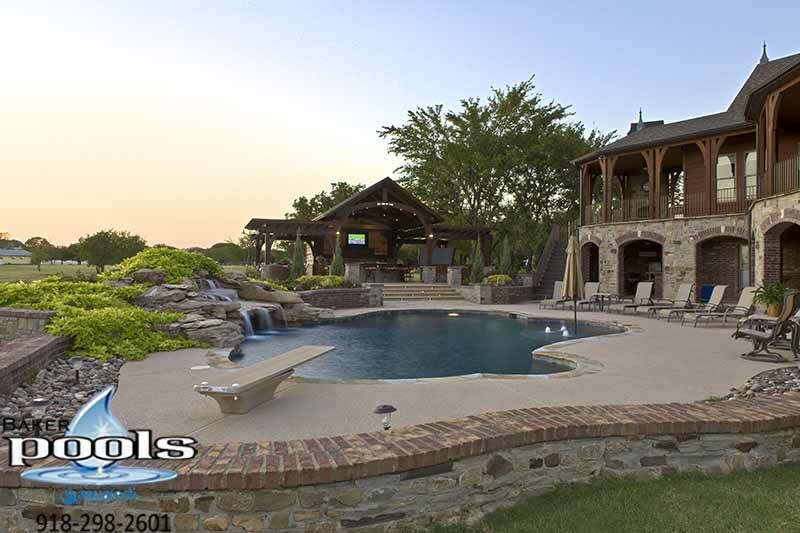 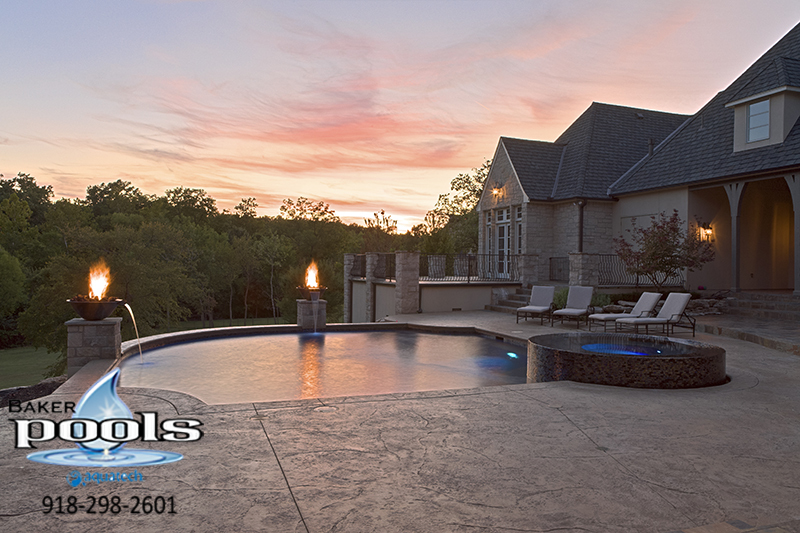 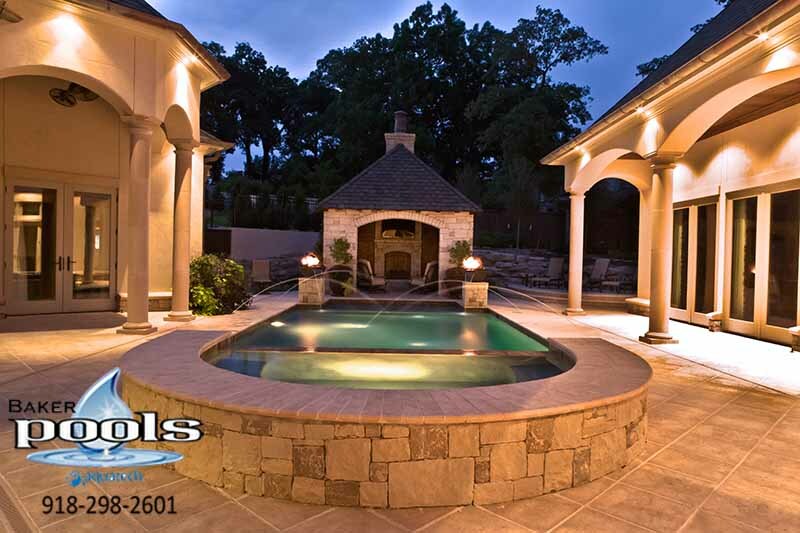 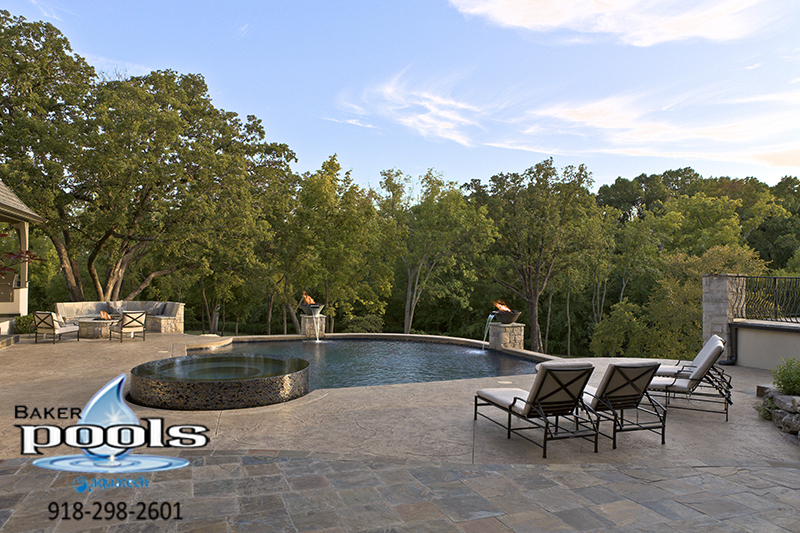 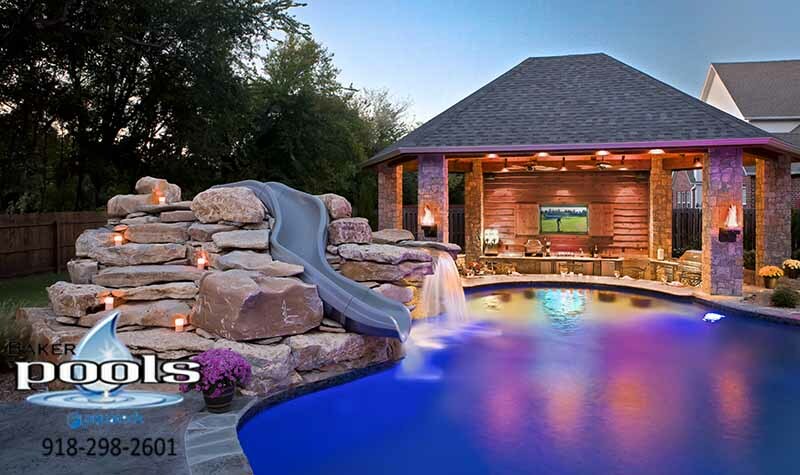 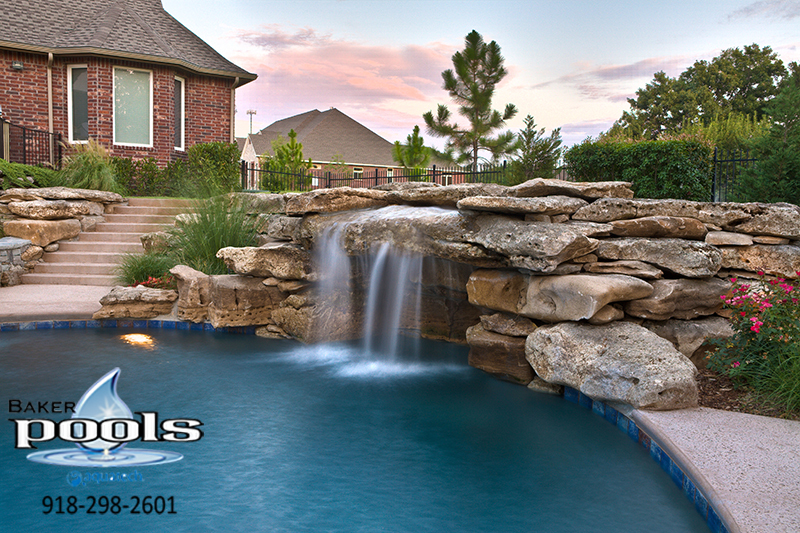 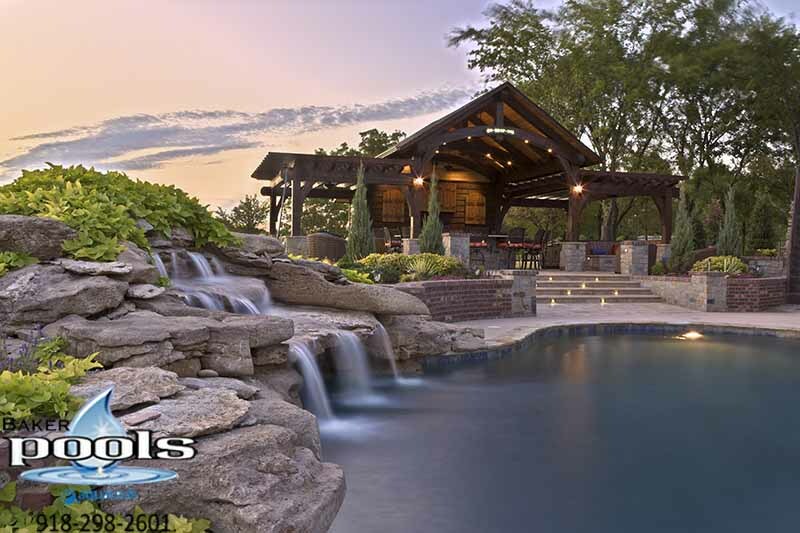 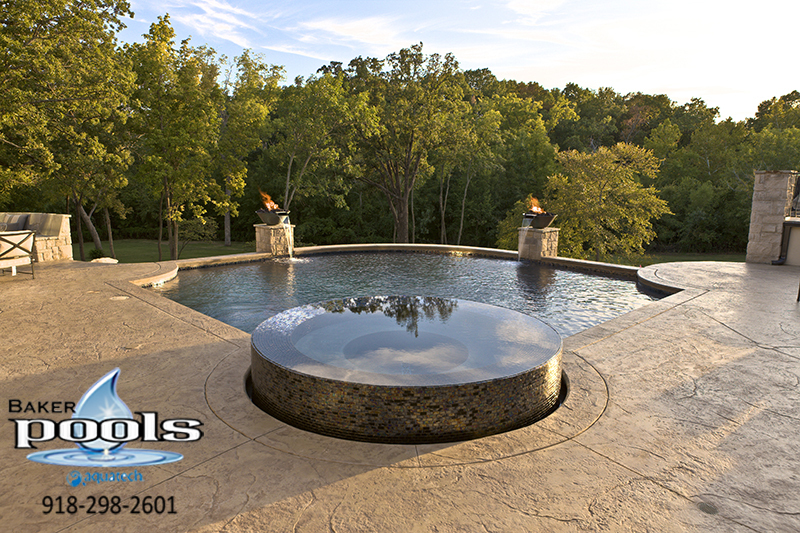 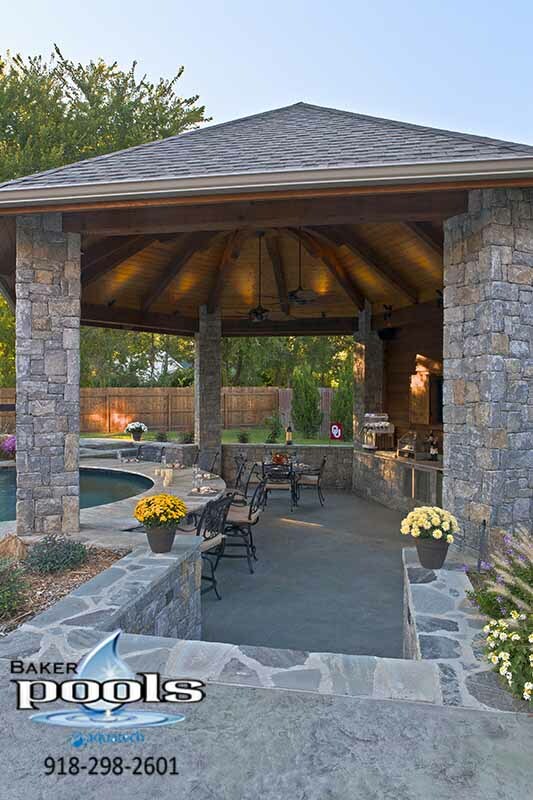 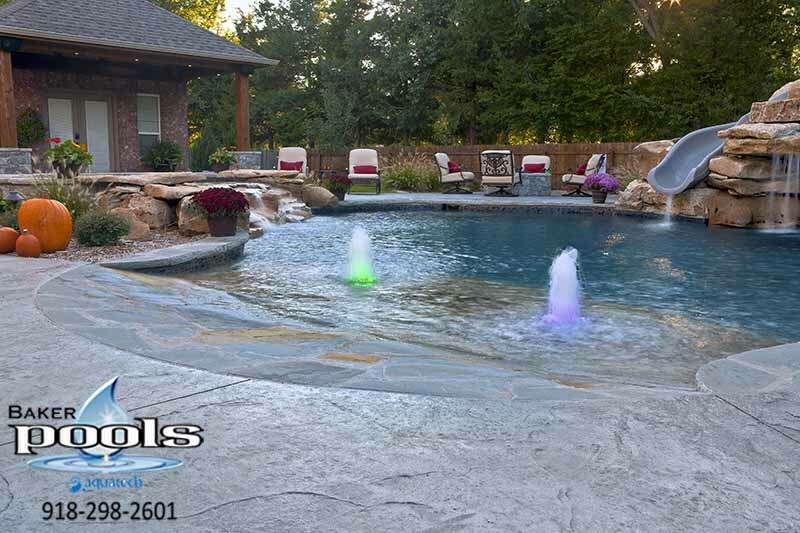 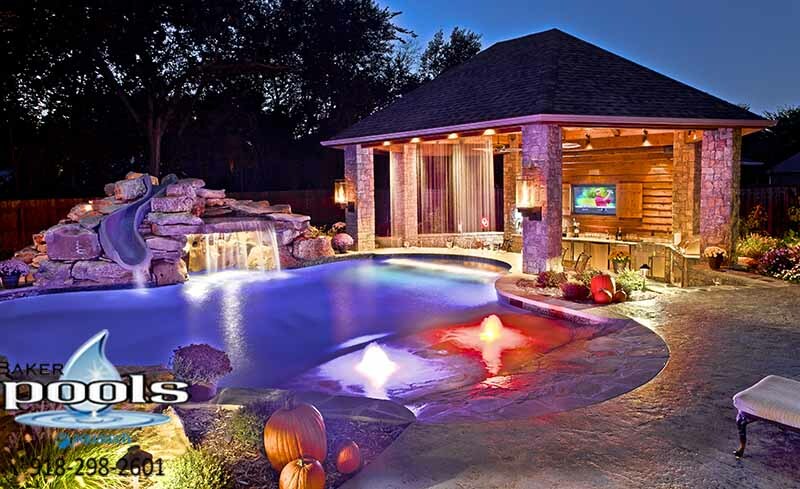 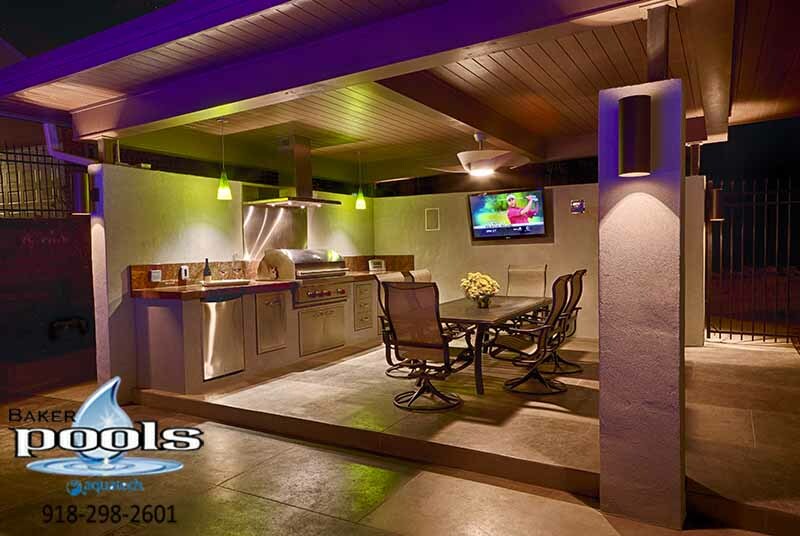 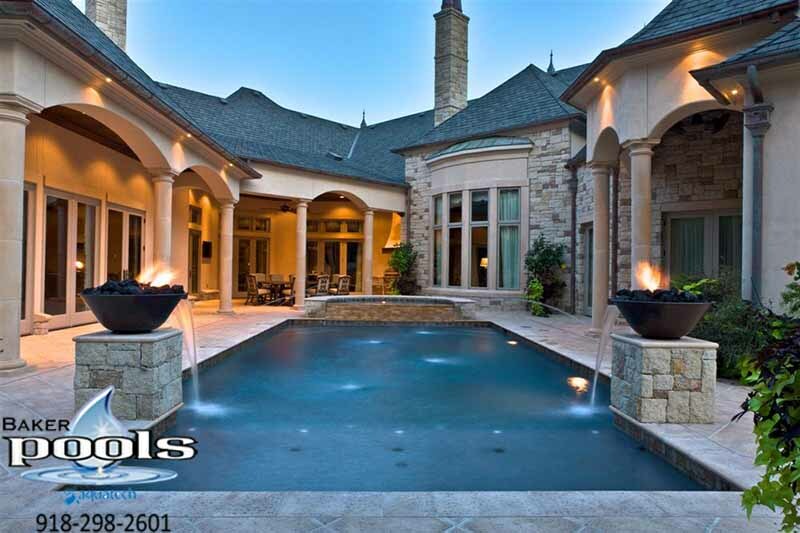 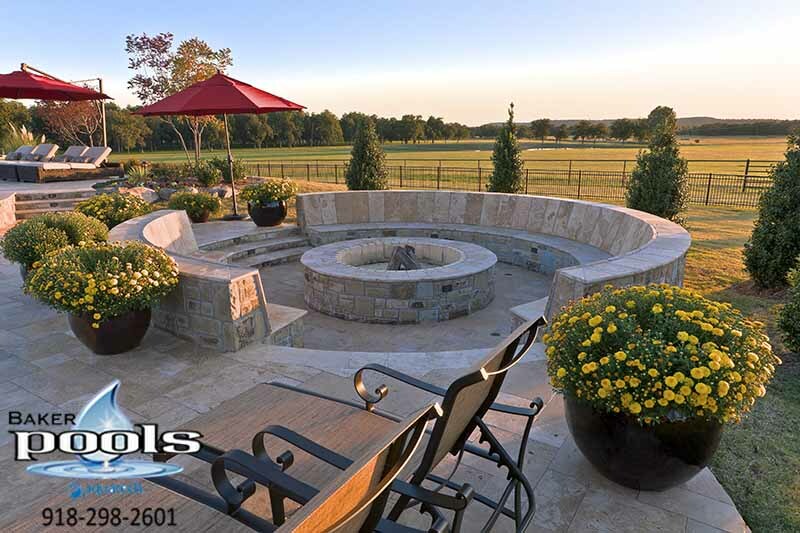 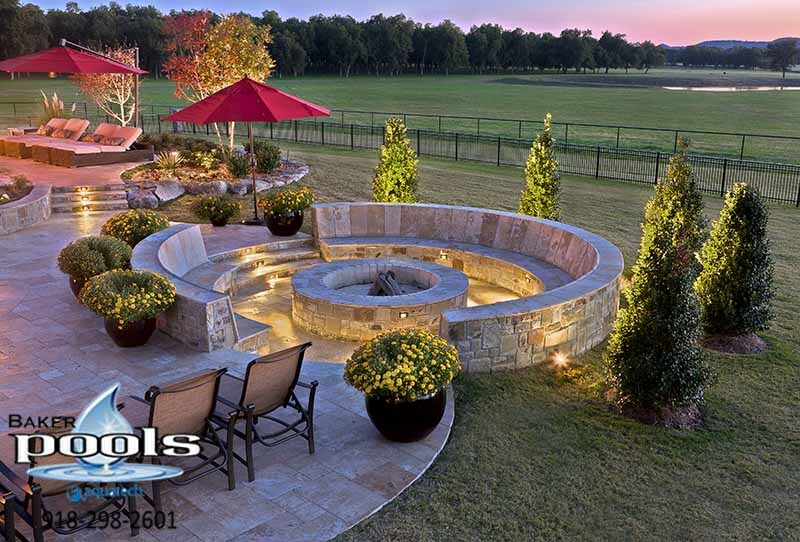 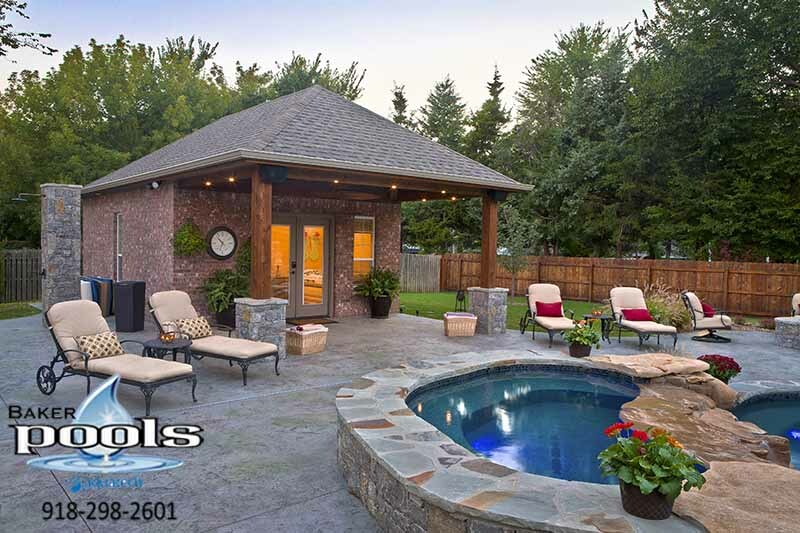 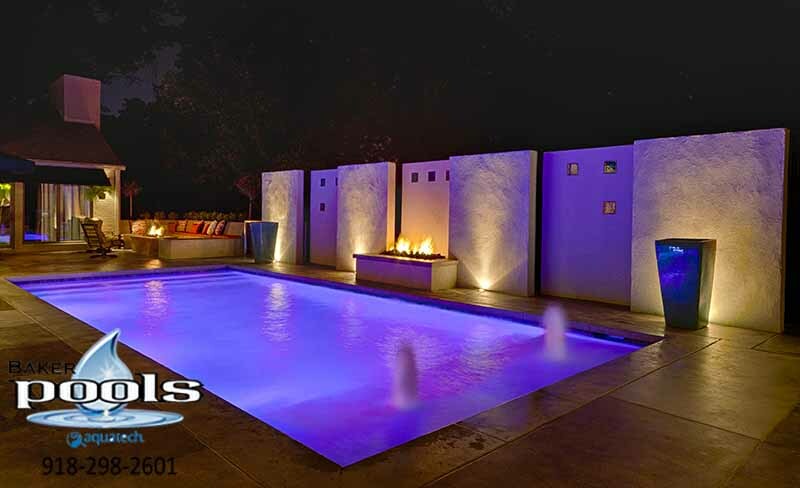 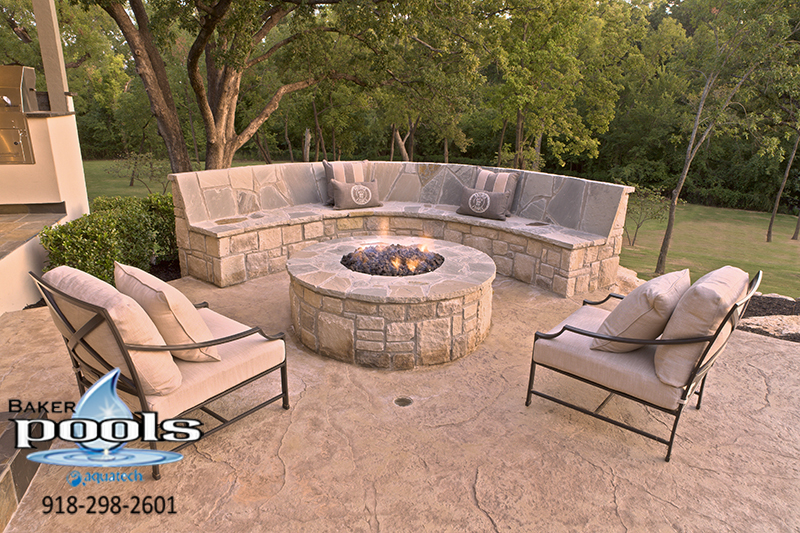 Baker Pools is your one-stop shop for all your pool-related needs in the Tulsa Area. 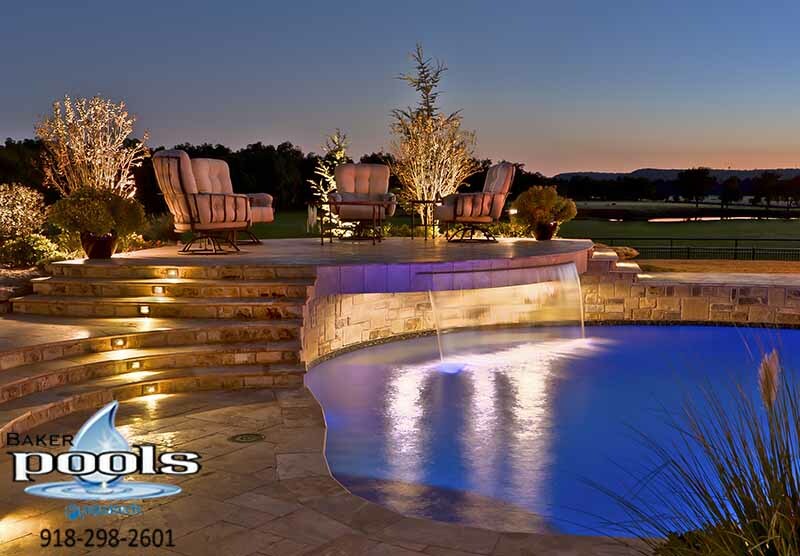 We have an expert design team ready to help you make the pool of your dreams as beautiful as you imagine. 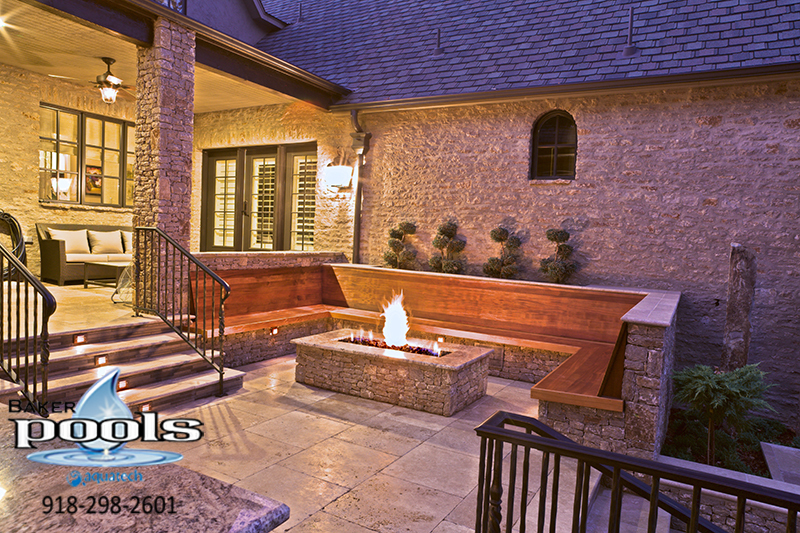 Our construction staff is committed to bring you the highest quality and total satisfaction. 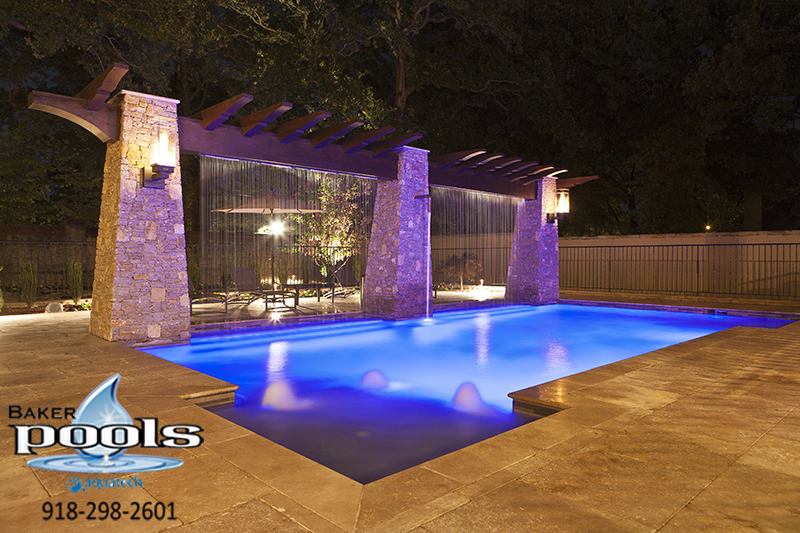 At Baker pools, our philosophy is simple: “We do what we say”. 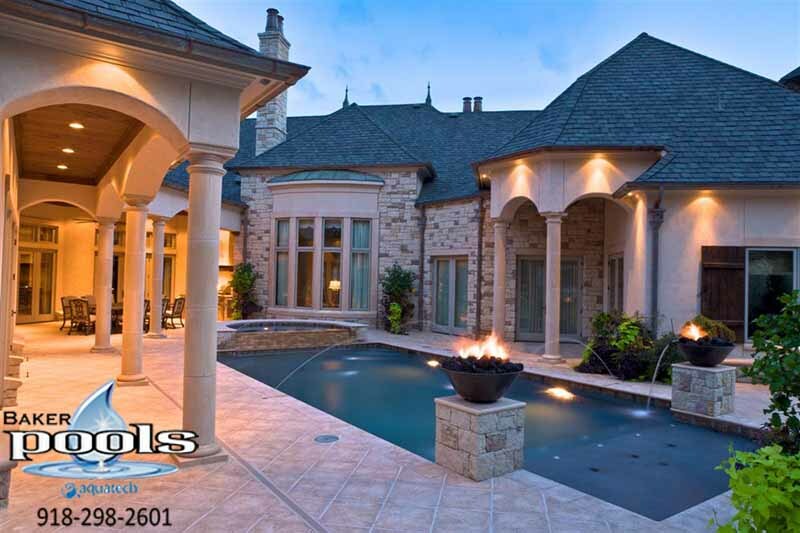 Our clients are treated with respect and honesty. 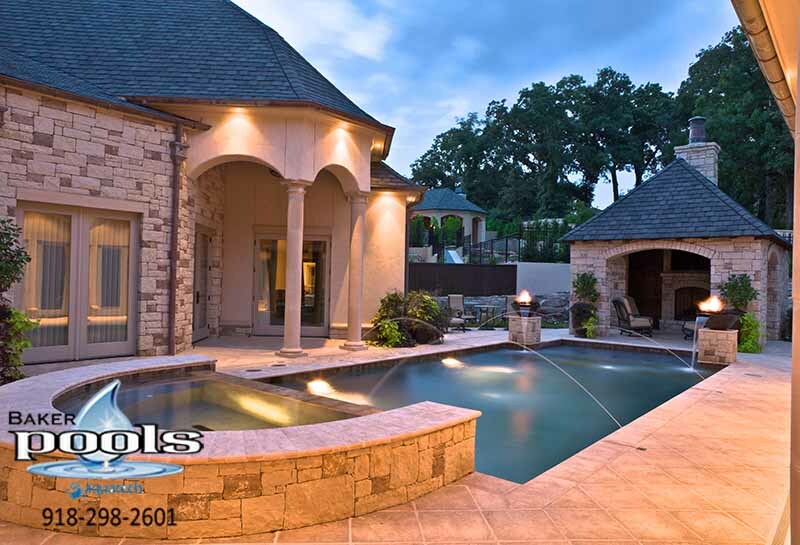 Our projects are completed on time. 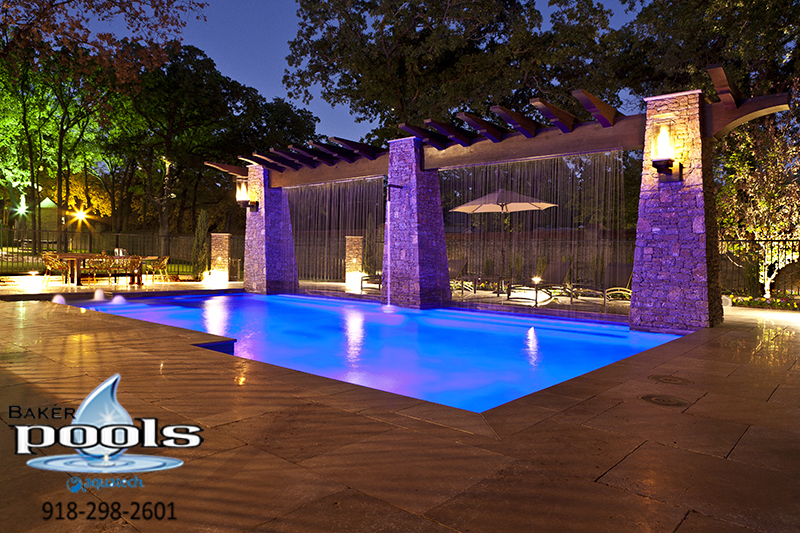 We are committed to being the only resource you’ll ever need when it comes to your swimming pool. 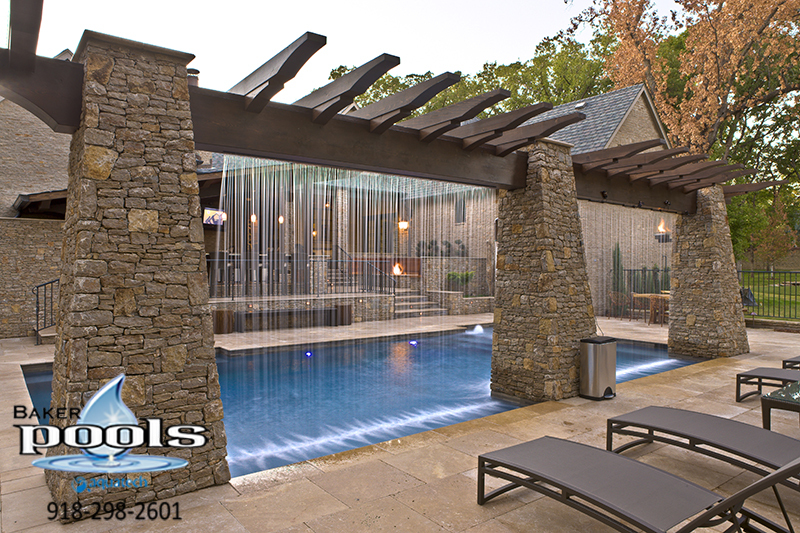 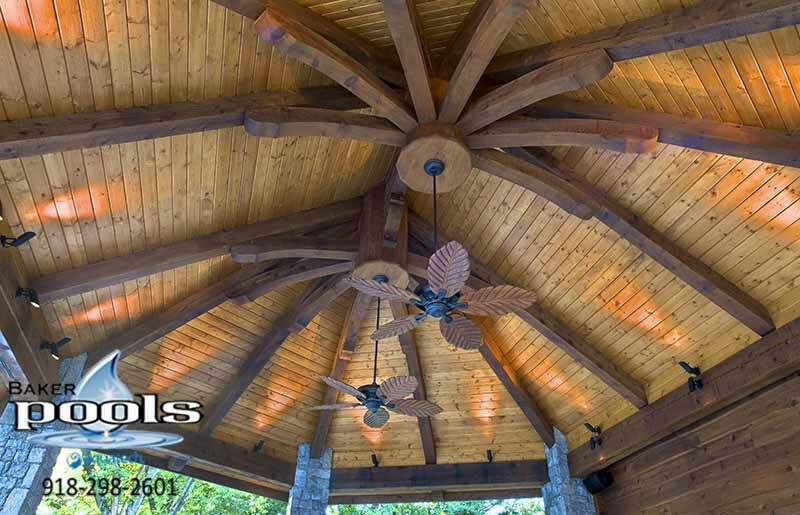 We are here for you not only during the design and construction, but after the construction as well. 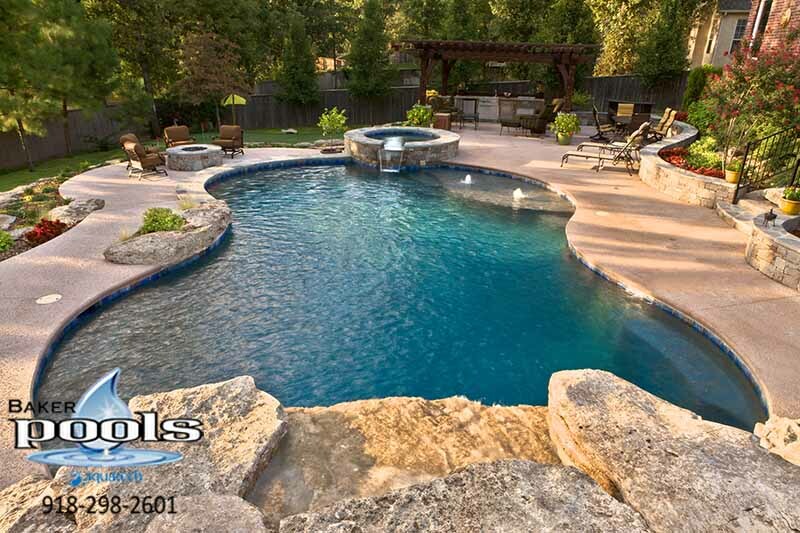 When your pool is in the care of Baker Pools, all repairs are completed promptly and efficiently. 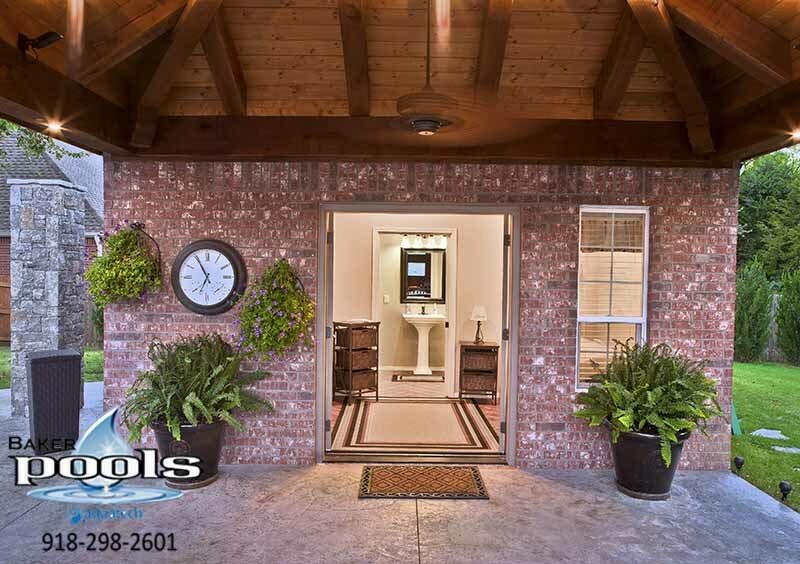 We are here for you whether it is as simple as a water test, or as complex as equipment malfunctions. 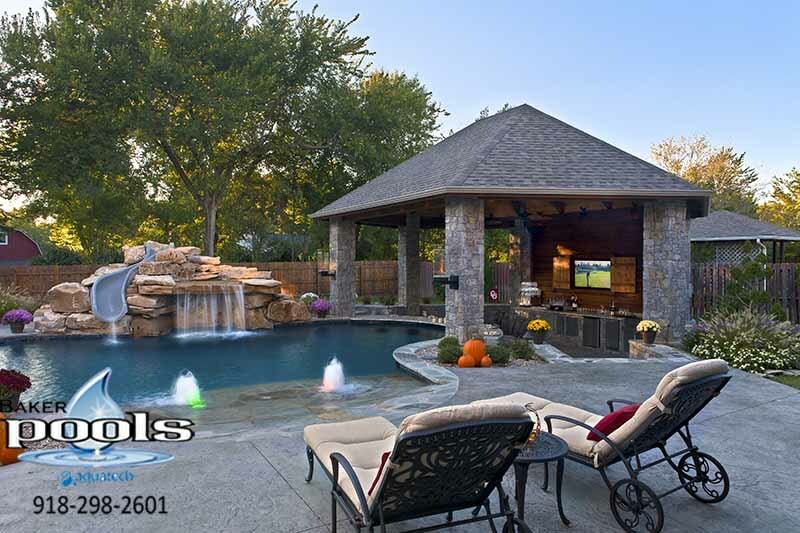 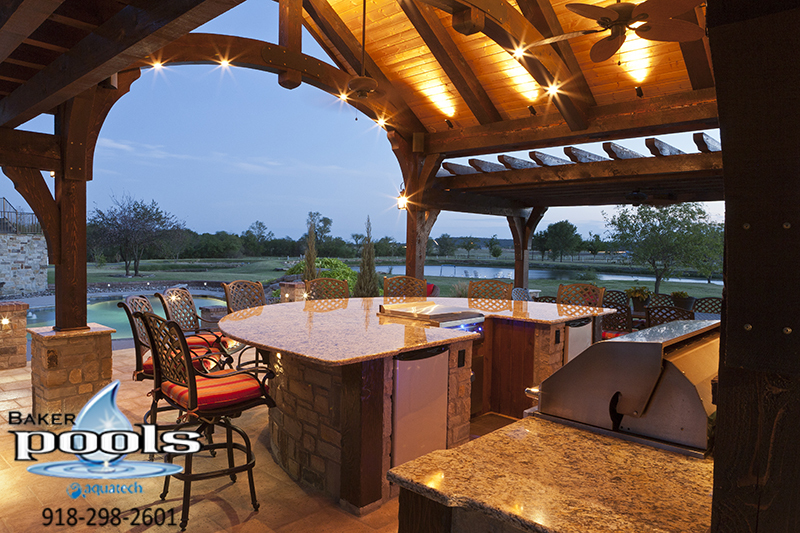 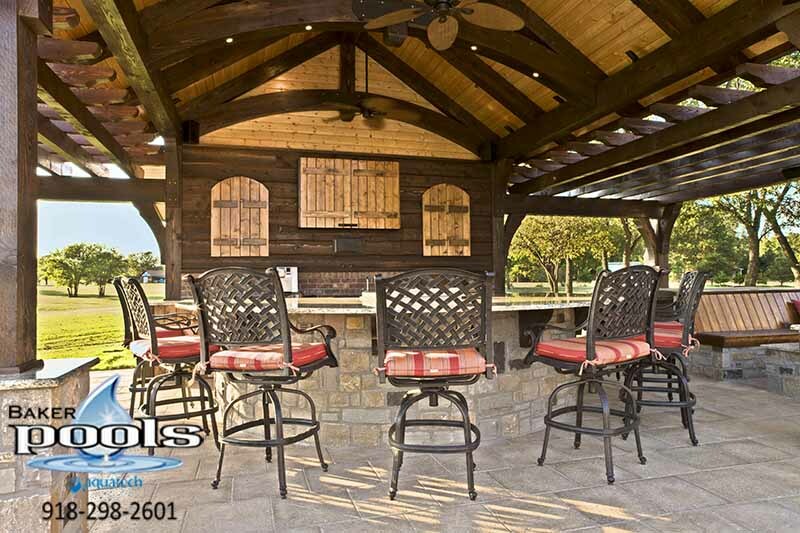 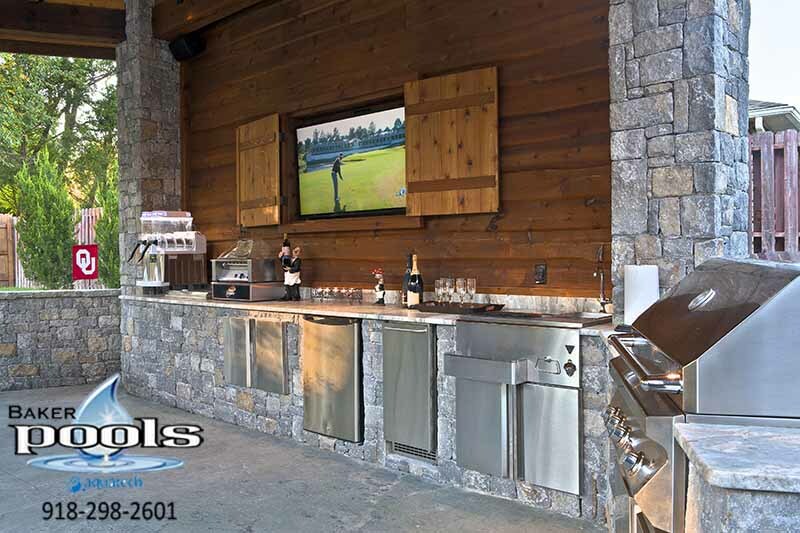 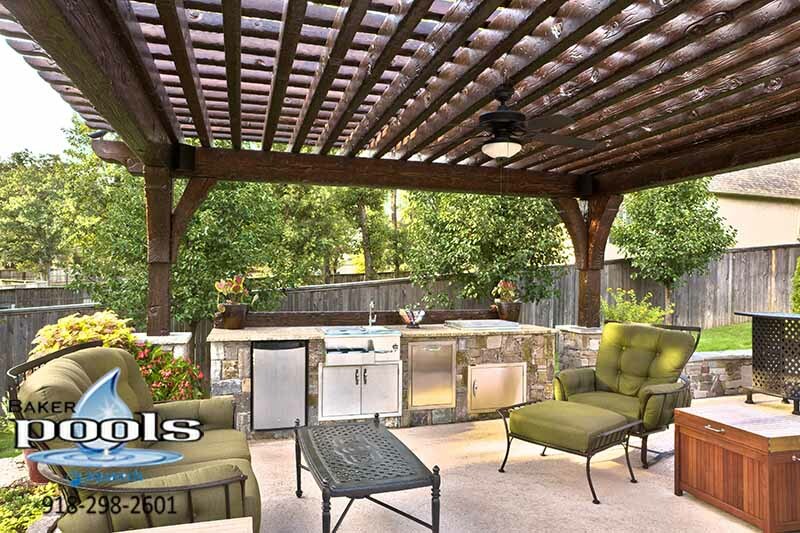 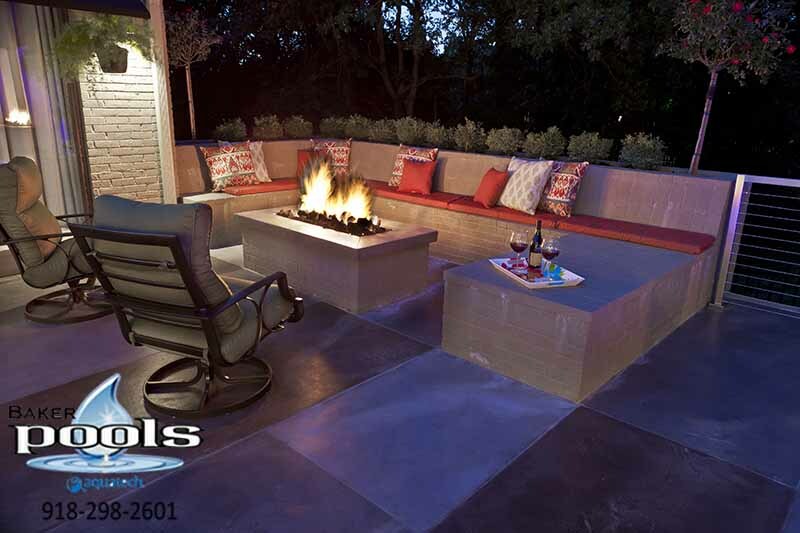 We help to keep your backyard an area of fun and leisure. 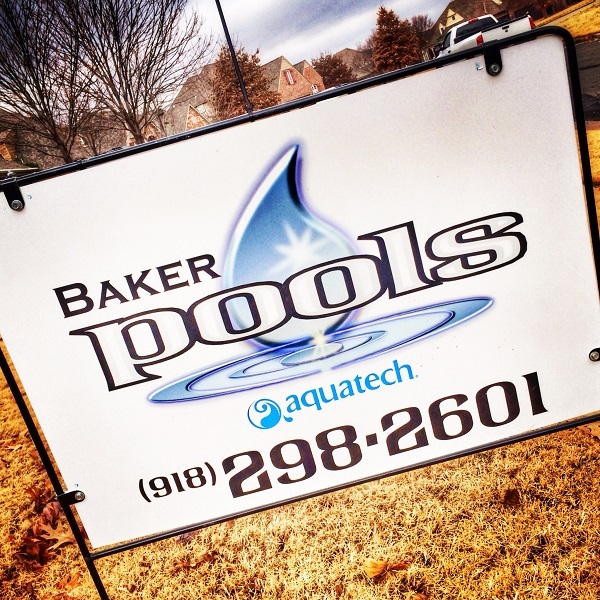 In 1985, the Hasz family purchased 37 service accounts from the Baker family. 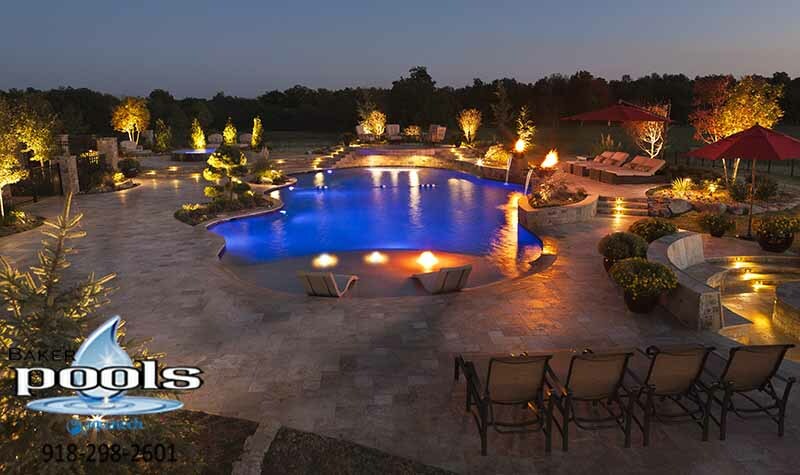 Through the past 24 years, the company has grown through constant innovation and now consists of four divisions all with a focus on the swimming pool industry and a drive to be the best. 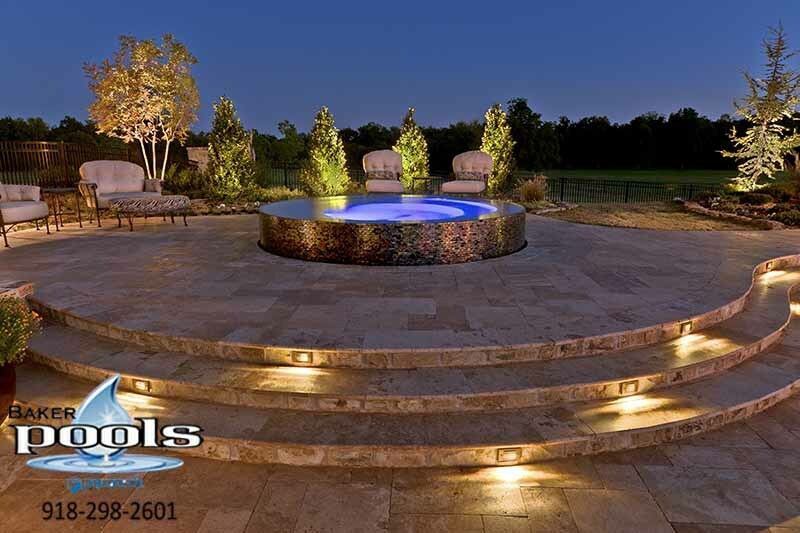 These four divisions include construction, maintenance, service, and retail, with an emphasis on customer service. 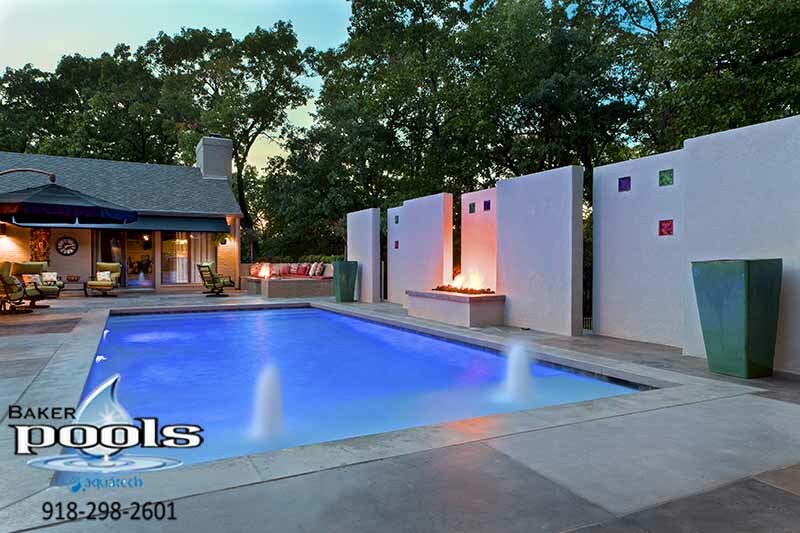 We believe in treating our clients with respect and honesty and completing our projects on time. 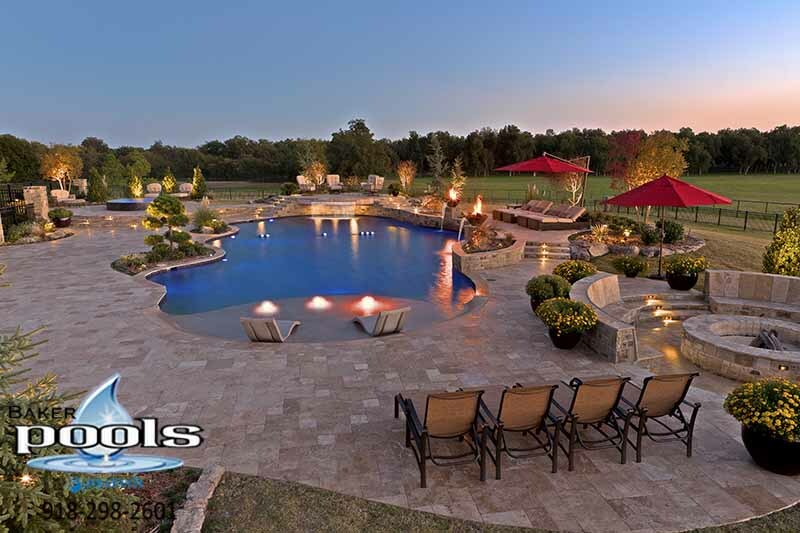 Baker Pools is committed to being the only resource you’ll ever need when it comes to your swimming pool. 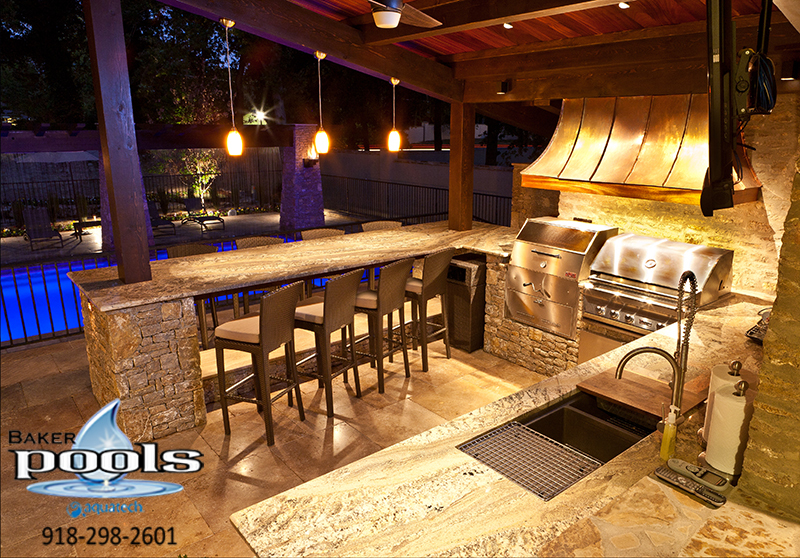 With our depth of experience you can rest assured that we can diagnose your problems and get the job done right. 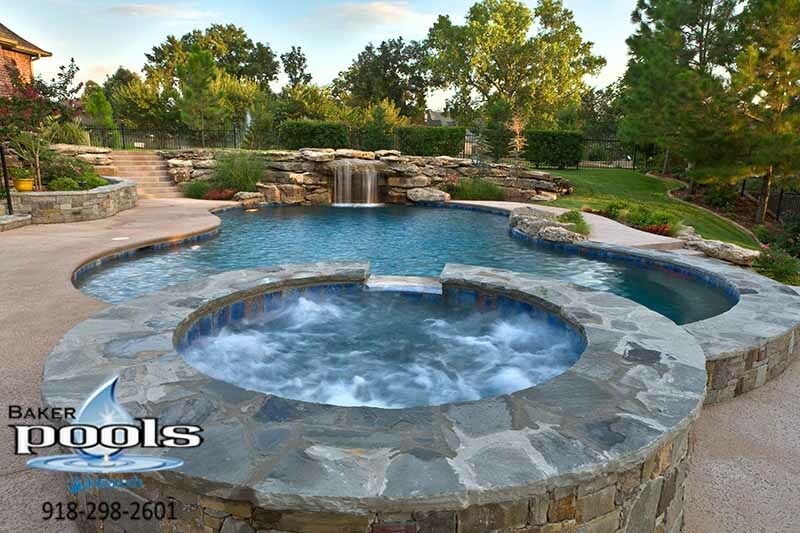 Why struggle doing your own repairs when Baker Pools can do it for you? 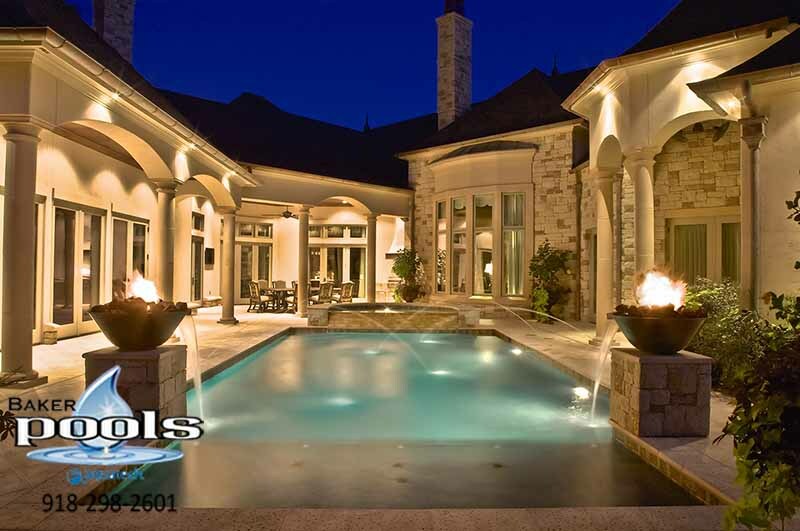 Equipment problems? 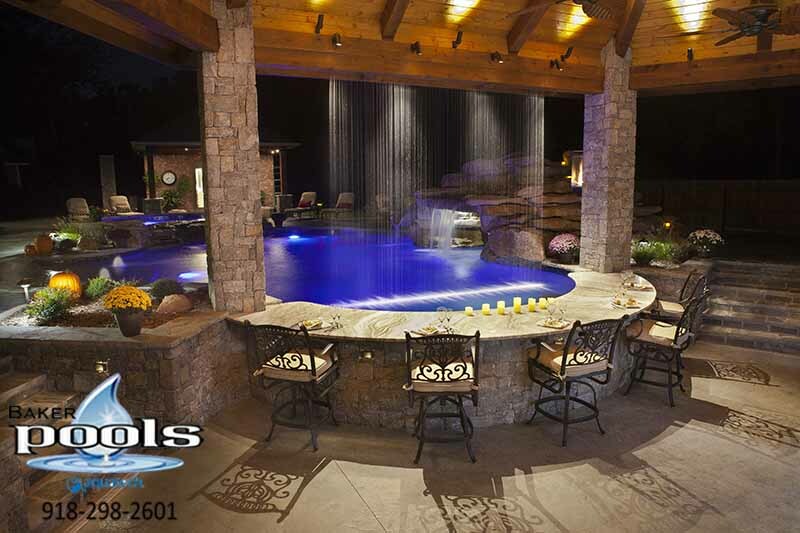 Just a swimming pool operating question? 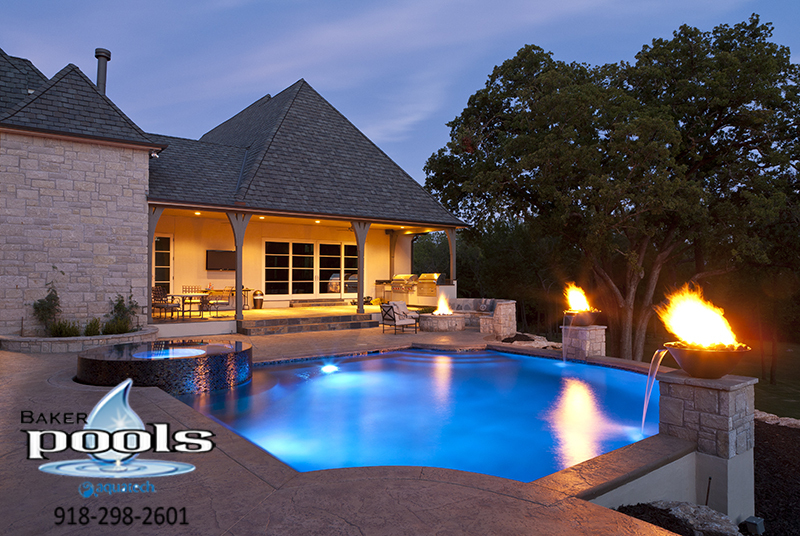 We are here to help whether there is a need for a simple fix or more complicated repairs for your swimming pool. 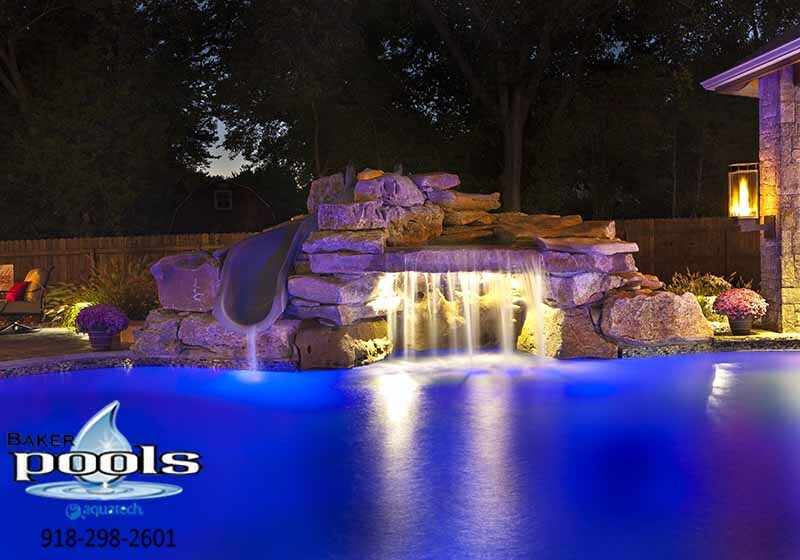 Our trained technicians can handle all problems from an underwater light change to total equipment replacement. 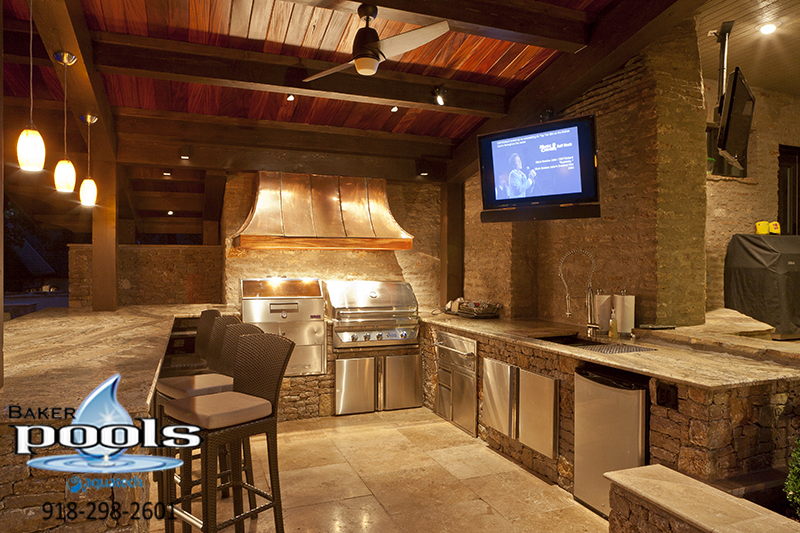 Also, our warehouse is stocked with parts and equipment which expedites your repairs. 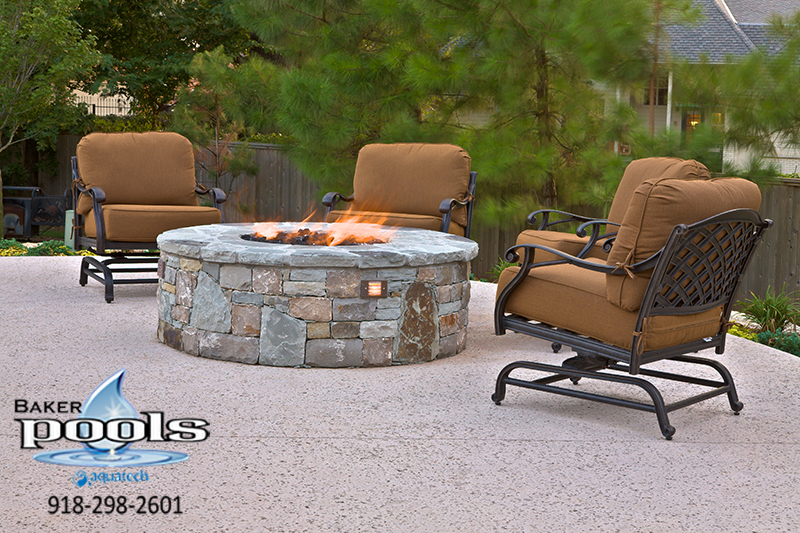 We offer a full line of covers from disposable to safety covers. 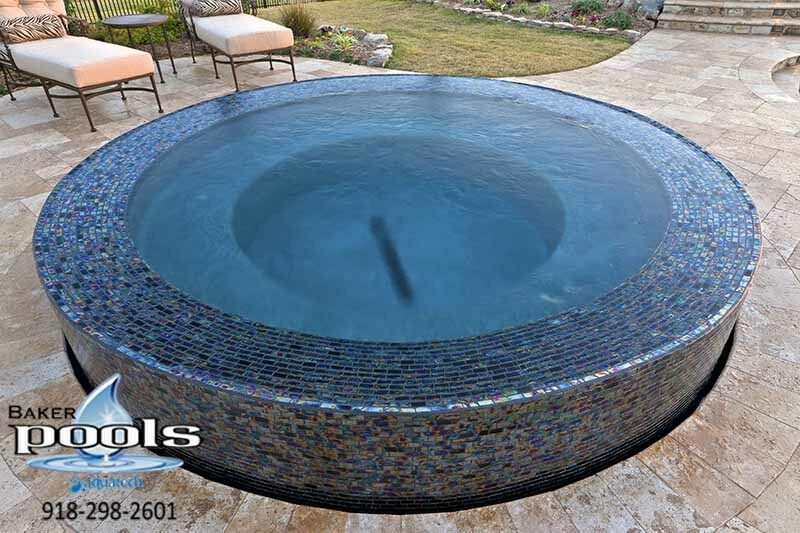 Plus, our service technicians are trained to complete accurate measurements of the safety covers and then when it is time, they are skilled in the installation. 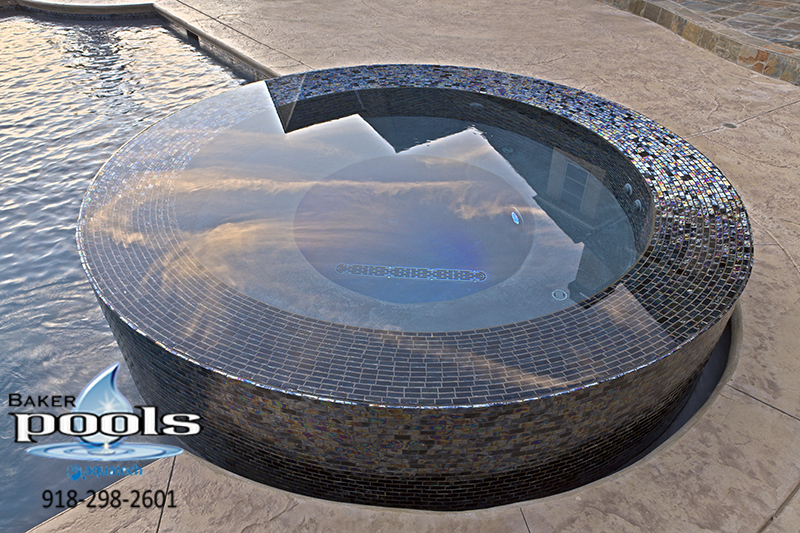 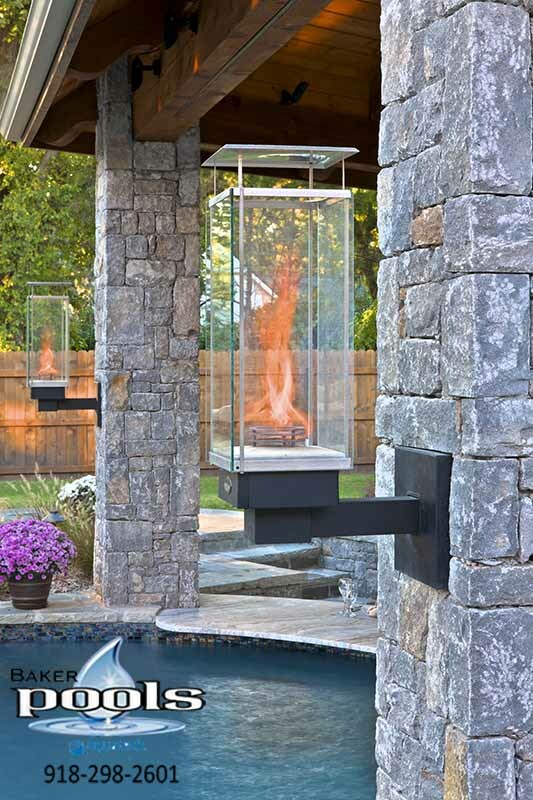 Creativity and expertise can take your pool ideas and thoughts from concept to a breath taking reality.